President Trump’s bellicose speech to the United Nations General Assembly last month sparked a crisis for the behind-the-scenes diplomacy that was then reaching out to North Korea and Iran, with Trump’s comments jeopardizing not only the talks but the credibility of the intermediaries, according to a source familiar with those efforts. Trump essentially pulled the rug out from under the intermediaries by insulting North Korean leader Kim Jong Un as “Rocket Man,” threatening to “totally destroy” Kim’s nation of 25 million people, and calling for regime change in Iran. Trump’s bluster on Sept. 19 also deepened internal tensions with Secretary of State Rex Tillerson who was privately supporting the secret diplomacy. The next day, when one of the intermediaries complained about the harm that Trump’s speech had caused, the President glibly explained that he liked to “zigzag” in charting his foreign policy, the source said. 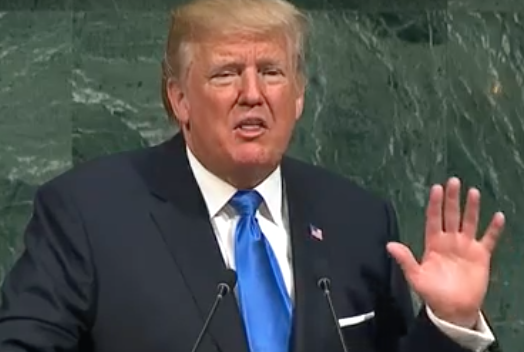 The immediate consequences of Trump’s U.N. speech included ratcheting up nuclear-war tensions on the Korean peninsula and torpedoing a possible diplomatic breakthrough with Iranian President Hassan Rouhani. A proposed meeting between Rouhani and Trump around the Iranian president’s trip to the U.N. sank under Trump’s barrage of insults, the source said. Trump’s “zigzag” approach to foreign policy has similarities to President Richard Nixon’s infamous “madman theory,” in which Nixon pretended to be crazy enough to launch a nuclear strike against North Vietnam in a ploy to gain concessions from Hanoi and its allies during the Vietnam War. In Trump’s depiction of his business negotiating style, he has hailed the value of coming on tough to soften up a rival. But one problem of this approach in foreign policy is that Trump’s zigzagging left the U.S. government’s middlemen in the uncomfortable position of appearing to have misled senior North Korean and Iranian officials regarding what U.S. intentions were. The source said no one was in physical danger but apologies had to be made and the credibility of the initiatives suffered a severe blow. 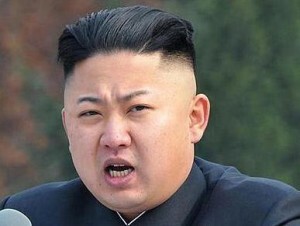 In the case of North Korea, the backchannel goal had been to tamp down the heated rhetoric between Washington and Pyongyang and to persuade the North Koreans to begin talks with South Korea about the possibility of some loosely formed confederation that could then lead to the gradual withdrawal of U.S. military forces and a reduction in overall tensions. However, by using his maiden U.N. speech to personally insult North Korea’s leader and to threaten to annihilate the country, Trump left his intermediaries in the unenviable spot of trying to explain to North Korean officials the chasm between the U.S. administration’s private overtures and the President’s public outburst. That was the context behind Secretary of State Tillerson’s public acknowledgement last Saturday that the administration was engaged in direct communications with the North Korean government. In effect, Tillerson was trying to bolster the credibility of the intermediaries by putting the backchannel contacts into the public light. Tillerson added, “We have a couple, three channels open to Pyongyang.” Tillerson even went out of his way to specify that these were American channels, not indirect contacts through China or some other third-party government. However, despite Trump’s truculence, the source said the behind-the-scenes contacts with North Korea have resumed although they remain fragile amid concerns that Trump may again take to Twitter with more threats and insults – and again put the intermediaries in a no-man’s-land facing angry North Koreans leaders doubting the honesty and integrity of individuals supposedly representing the U.S. government. The source said Trump has been apprised of this danger and supposedly has agreed not to undercut these intermediaries again. But Trump lacks enough sophistication about international relations to understand the complexities of the global chessboard and the risks involved in his erratic behavior. He is also susceptible to having his head turned by the last person who speaks with him, particularly if that person is Israeli Prime Minister Benjamin Netanyahu. Some people around Trump traced the President’s destructive U.N. speech, in part, to Netanyahu’s insistence that Trump get in line behind the Israeli policy of continued hostility toward Iran and Syria. 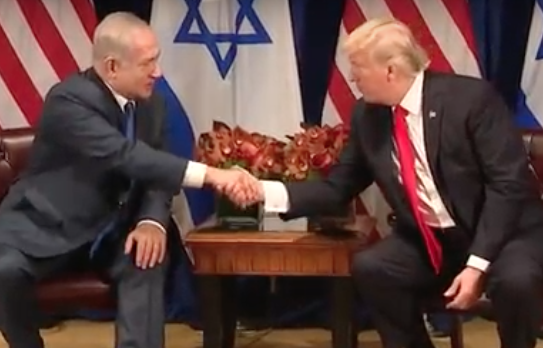 When Trump was delivering the address to a mostly stone-faced General Assembly – with many delegates clearly distressed listening to crude threats of war at the podium of an institution created to achieve peace – one of the few visibly happy people in the building was Netanyahu as Trump embraced neoconservative war policies, albeit behind “America First” rhetoric. Trump has continued to toe Netanyahu’s line in the President’s current threats to refuse certification that Iran is abiding by the 2015 nuclear-weapons accord even though senior administration officials and international inspectors have confirmed that Iran is in compliance. So, the fate of Tillerson’s backchannel diplomacy may ultimately rest on whether the troublemaking Netanyahu pulls Trump’s chain again or whether President Zigzag wakes up at 3 a.m. with an itchy Twitter finger and a desire to look tough.